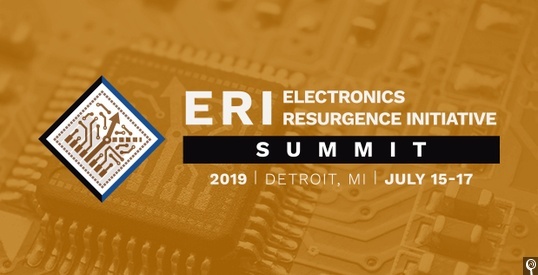 ARLINGTON, Va. Defense Advanced Research Projects Agency (DARPA) officials are kicking off the second annual Electronics Resurgence Initiative (ERI) in Detroit, Michigan on July 15 through the 17th. The summit will allow electronics innovators to share their vision for the future, review technical progress, and provide input into future research directions. 2019 Summit presentations and activities will highlight the technical achievements of ERI programs, support continued research collaborations, and offer opportunities to solicit community input on new efforts. The summit will emphasize the impact of advanced electronics for both semiconductor designers and manufacturers as well as the electronics user base, where sectors like automotive, telecommunications, and defense will increasingly rely on new technologies to maintain a competitive edge. During the first day of the 2019 ERI Summit, DARPA performers will share research milestones achieved within ERI’s foundational and Page 3 programs. This will include a session on microelectronics assurance, which will review progress on protecting advanced electronics against intellectual property and other malicious attacks, a critical need for the defense community and increasing area of commercial interest. The second day will feature technical deep dives into several ERI programs, facilitated by DARPA program managers and performers. Both days will include presentations from commercial and defense community leaders as well as poster sessions to foster collaboration. Feedback and discussions from similar workshops at the 2018 Summit contributed to the development of several new “ERI Phase II” programs. Lastly, the third day of the Summit will focus on potential future ERI investments, with several program manager-led workshops. Bill Vass, vice president of technology at Amazon Web Services. Event location, agenda, accommodations information, and other details can be found at www.eri-summit.com. Registration opens Monday, April 15 on the Summit website and closes June 24, or when the capacity of 900 attendees is reached. Advance registration is required, DARPA officials report.